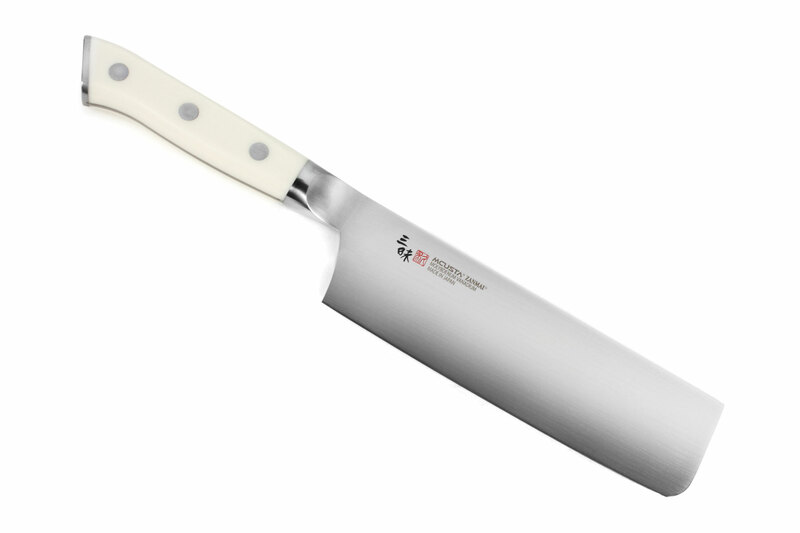 The Mcusta Zanmai Pro Nakiri is ideal to mince, slice, and dice vegetables for stir-fry, salads, soups, and more. 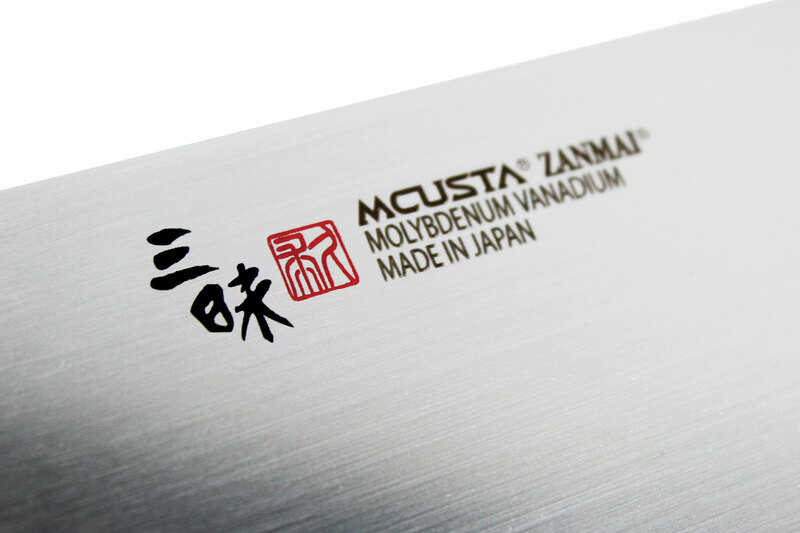 Mcusta Zanmai Pro knives perform at a high level with a distinct and signature look. 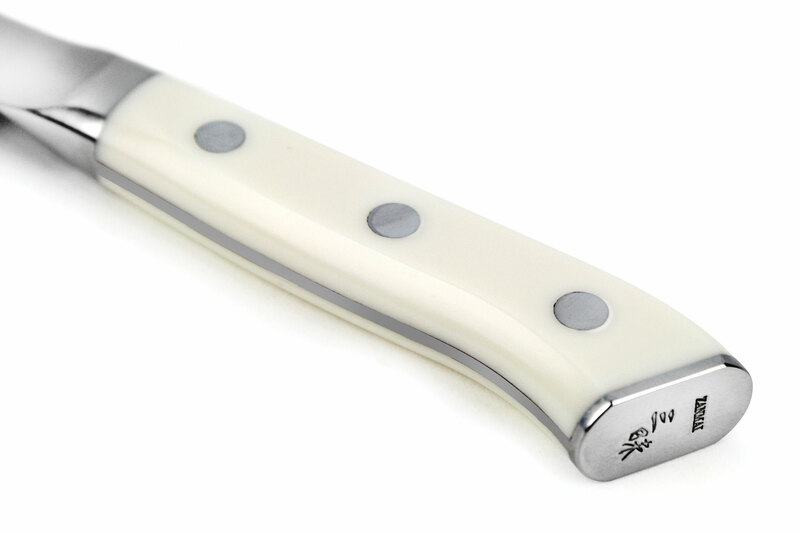 The corian handle transitions into a modified stainless steel bolster that is uniquely tapered to increase comfort and blade control when pinch gripping the knife. 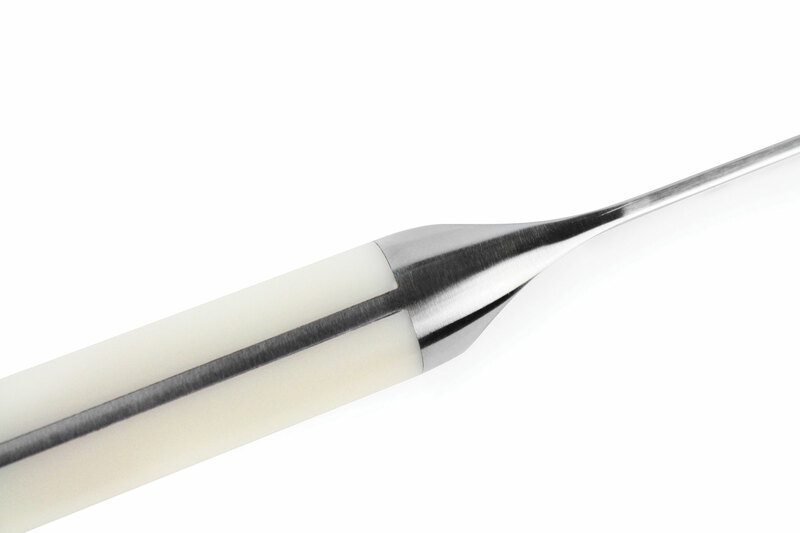 The blade is precision laser cut from 8A Molybdenum steel resulting in an extremely sharp edge and expertly ground for efficient cutting and blade strength. 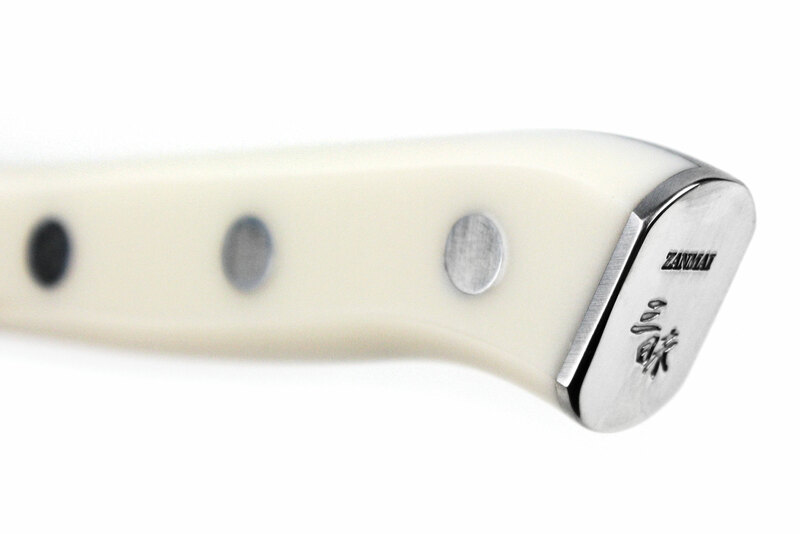 Handcrafted in Seki city, Japan with a lifetime warranty.